Is the United States a revolutionary nation? Was it founded in 1776 out of whole cloth by men determined to construct a government and a people committed to radically new ideas of political equality and individual liberty? Or is American public life best understood as the outgrowth of a political culture—governmental structures and an unwritten constitution consisting of people’s habits, attitudes toward government and general ways of life—rooted in British and earlier traditions in the west? Were the founders politically innovating liberals or culturally and historically grounded conservatives? Much hinges on the answer to this question because it indicates the nature and tendency of our founding documents and our nation’s intended path. If America is at its core a set of ideological beliefs we all must accept and serve, then we must constantly reshape ourselves and our way of life to fit these ideas. But if our nation was founded to preserve a pre-existing way of life that the founders valued deeply, then it is this concrete way of life—the institutions, beliefs, and practices central to the local communities in which we live—that we must work to conserve, rather than any abstract notion of the best political regime. Russell Kirk left no doubt on which side of this debate he stood. At a time when the liberal interpretation of America’s past and destiny reigned all but unchallenged he forged, from dispirited and isolated pockets of resistance, a tradition of cultural valuation and analysis. And this tradition connected “modern” America to its cultural roots in Great Britain, medieval Europe and the classical world. From The Conservative Mind through The Roots of American Order and America’s British Culture Kirk insisted that American constitutional government—our system of ordered liberty—rests on customs, beliefs, and habits developed during 150 years of relative self-government in the colonies and by centuries of formation within Western civilization. Kirk argued that our “new order of the ages” was not intended to be a political utopia founded on abstract theories. Rather, it was to be an experiment in republican self-government firmly grounded in traditions of common law, local control, and adherence to Christian and western standards of virtue. Thus the American founders drafted a Constitution that balanced and limited the powers of the central government, thereby protecting rather than threatening the cultural habits or unwritten constitution onto which it was grafted. Conservatives at the time—John Adams chief among them—sought to maintain the historical continuity of Americans’ traditions and ways of life within their new nation. Of course, Jefferson and his followers took a different path; they sought to reform society on the basis of abstract principles borrowed from the French revolutionary Jacobins. And so was born the fundamental tension in America between defenders of tradition and ideologues committed to the notion of progress and its corollary values of equality and material wealth. Today most academics and journalists side with Jefferson. Even a number of public intellectuals calling themselves conservatives have sought to portray America as a truly “new nation” founded on an ideological commitment to equality, progress and an abstract freedom divorced from prescriptive institutions, beliefs and practices. These intellectuals further portray Kirk and the tradition of social and political analysis his Conservative Mind did so much to reinvigorate as marginal and even “un-American” because of their focus on the roots of America’s ordered liberty in European and Christian sources. Indeed, some deny the very existence of traditional conservatism outside a few “fever swamps” of extreme isolationism and pseudo-European pretensions. Yet Kirk’s cultural understanding of the nature and proper ends of politics is hardly eccentric. It belongs to a tradition of sociological understandings of public life represented by prominent figures such as Alexis de Tocqueville, Otto von Gierke and Robert Nisbet. As a method of political analysis it is alive and well and shared by a worthy group of successors. Traditional conservative scholars continue to expand our knowledge of the social institutions and customs at the heart of the American way of life. And it is to our way of life rather than to any set of abstract political precepts that conservatives would have us look in judging the worth of political or any other institutions. Traditional conservative scholars see politics as merely a part of any good society. And the proper goal of political institutions is to protect and nurture more fundamental, local associations such as churches and families. Traditional conservatives reject the liberal emphasis on political ideology as the shaper of public life, seeing this view as the source of destructive innovation and an increasingly centralized, powerful, and intrusive state. For conservatives, political systems are good or bad according to their tendency to promote or undermine a decent way of life. In Kirk’s words, conservatives work for the “preservation of the ancient moral traditions of humanity.” These traditions embody and pass on the habits that make it possible for human beings to fulfill their duties to family, friends and neighbors, as well as strangers and God. American ordered liberty is the flower of these longstanding traditions as modified by changing historical circumstances. But the flower dies unless the roots are nurtured. And it is the chosen task of traditional conservatives, following Kirk, to extend our knowledge of the nature and requirements of these roots. Within the study of politics this means examining the cultural bases and ultimate purposes of governmental institutions and processes. Thus, in seeking Kirk’s legacy in this realm, we must look to scholars concerned to show the limits of politics as the pursuit of ideological utopias. We must look to scholars integrating the study of politics with historical understanding and appreciation of the higher ends of human beings taken both individually and, more naturally, in their communities. Conservatives’ valuation of cultural life over political innovation can be defended even on political grounds. Wilfred McClay has made the important point that the individual freedom liberals value so highly depends on communitarian cultural institutions for its existence and efficacy. Cultural institutions including family, church, and local association play a crucial role in instilling the virtues and sense of duty essential for sustaining political liberty. It is wrong to claim that America is (or over time could survive as) a creation of classical liberal politics, devoted to principles of abstract freedom, equality and progress; any movement devoted solely to such ends would undermine itself. The claim for a liberal America ignores both the necessity and the virtue of Americans’ lived experience and moral traditions. In part misinterpretations of America’s founding stem from misunderstandings of liberty itself. The identification of liberty with the mere absence of constraints on individual action is both anachronistic and inaccurate. McClay points out that a historically informed use of the term “liberty”—one rooted in early American usage—refers to a form of political freedom, whose existence is predicated upon an entire system of structures and constraints, without whose presence “liberty” is said to devolve into “license.” The “freedom” of modern liberalism and libertarianism, which presumes the moral autonomy of the self-validating individual, could not have been further from the Founders’ thinking. When Patrick Henry declared, “Give me liberty or give me death,” he was not holding out for the expressive liberties of Robert Mapplethorpe. “Liberty,” in McClay’s understanding, “enables the individual to act freely within a larger context of moral accountability.” The more radical notion of “freedom” refers to the simple absence of constraints on the individual will. Moreover, liberty assumes “that we can identify a moral order that is not merely subjective and arbitrary.” It requires common adherence to a law higher than our own will. Without such common adherence, liberty will devolve into license. And the founders knew that license inevitably would lead to anarchy and a resort to violence and oppression to re-establish some semblance of order. Political liberty, and even an ordered, sustainable individual freedom, must be constrained by cultural institutions and by individual virtues rooted in recognition of one’s duties to others. In an essay on Ralph Waldo Emerson and the nature of Transcendentalist individualism, McClay points out that even the radical selfhood explored by Emerson “silently presupposed—indeed, it took utterly for granted—a profound degree of social order and a wide range of social, institutional, cultural, and moral supports provided by the family and community life into which he was born.” Liberty requires order, and the cultural supports that instill habits of regularity, responsibility and (to the extent it is an attainable goal) self-sufficiency. Social traditions of thought and action are necessary to maintain the constrained individualism that is the only form of individualism human beings can attain; indeed, the American system of ordered liberty was founded on them. As McClay observes, the essentially liberal view of America’s politicized, reformist founding ignores the distinct and powerful elements of civic humanist or “republican” thinking in colonial and revolutionary America, elements that stressed the individual’s necessary involvement in, and dedication to, the polity. It downplays the wide influence of Scottish moral philosophy, with its emphasis on the inherent sociality of human nature, and of faculty psychology, which stressed the need to subject the human passions to rational and social control. It gives short shrift to the elements of English institutional and legal tradition that profoundly shaped North American colonial life. But most of all, it downplays the immense and pervasive influence of reformed Protestant Christianity, especially as embodied in Calvinistic covenant theology and congregational church polity. Traditions, social institutions, and above all religion have shaped Americans’ character and way of life since before their nation’s beginning. As Kirk often remarked, culture comes from the cult. A people’s social institutions grow from its common beliefs and practices, responding to new circumstances as they seek to maintain continuity with their past. Without this basis in common, historically rooted beliefs and practices, Americans would never have become a free people. If this common basis is lost, American liberty will be lost as well. Unfortunately, the liberal belief in absolute, unconstrained freedom undermines any authoritative, shared belief. Why? Because such beliefs require habitual acceptance from the people. The people must accept them as true, whether or not they chose them in some presumed moment of unencumbered, rational reflection. McClay notes in his book The Masterless that Americans for decades have sought to avoid authority. Following an ideology of individualism (and responding to a number of cultural shocks such as the mass killings of the Second World War) Americans increasingly have sought to free themselves from any common authority—including God and the various local institutions of communal life. At the same time, Americans have allowed an increasing political centralization to sap the powers of these local institutions. Thus, even as their nation consolidated into increasingly large, centralized organizations, Americans have sought to preserve a vision of themselves as fully autonomous individuals, answerable to no one. But, as McClay points out, “every way of life, even a seemingly neutral and eclectic pluralism that tolerantly affirms a wide-open bazaar of ideas and values, has its built-in imperatives, its virtues, its vices, its codes, its taboos, its benefits, and its costs.” The cost for contemporary Americans is directly related to the supposed benefits of the system they have allowed to be formed. Dispensing with the ultimate authority of God, Americans have cast themselves as atomistic individuals, determined to maintain their independence while “yearning for unrealizable forms of community.” Responding to the Jeffersonian tradition in their culture, Americans grew tired of the demands for virtue made by local communities. As a result, they gave up their liberty as well, and left themselves seeking an increasingly meaningless freedom and an increasingly unrealizable, and indefinable, community. Ironically, Americans’ flight from authority ended by empowering the central government, rendering the people increasingly subject to the will of distant political elites. As liberty depends on cultural structures, its loss stems from cultural sources as well. The decline of local liberties in the United States has been at least as much a matter of cultural change as of institutional innovation. Political developments have affected American culture, to be sure. But political developments are outgrowths of cultural developments, not independent causes of societal change. The complex relationship between politics and culture is easily lost amid the drama and the mere mechanics of political action. One traditional conservative who has sought to show the need to integrate political and cultural understanding is George Carey. Carey is best known as a student of works relating to the Constitution and of The Federalist in particular. His work explains the mechanics of the Constitution and important founders’ expectations as to how it should work, and also the founders’ key cultural assumptions, including their intention that the Constitution be read and applied with a historical understanding of the tradition of ordered liberty in which it stood. But such concerns do not, for Carey, exhaust the subjects proper for political analysis. He also explains the political and cultural limits of the Constitution and of constitutionalism more generally. Indeed, some of Carey’s most important insights concern precisely these limits and their implications for political and social life. Conservatives recognize that constitutions play a limited role in fostering and nourishing communities. This role, moreover, is largely passive. Genuine communities evolve naturally; they are complexes of voluntary associations bound together by ties of loyalty, affection, and purpose. Consequently, constitutions, no matter how well crafted, play little, if any, role in their origins and growth. No matter how conservative in nature, no matter how well crafted to fit the people’s character and culture, a constitution is by nature an abstract document. It sets down general rules intended to shape the behavior of those in positions of power in the government. And those rules are the products of rational considerations, of a reasoning process that at its best integrates the results of rational study with the bare facts of human experience. Because a constitution is a set of rules rather than an embodied model of behavior, it can provide only a partial vision and guide for conduct; it is not a substitute for vital, character forming communities. Carey notes that “communities can be created, but to be vital and functional, and to operate in conformance with their goals, they must have their origins in some shared and genuine human interest or need, not the dreams or aspirations of social planners.” Politics is too divorced from daily life, too abstract a concept and too blunt an instrument, to form live, functioning communities. The obverse is not true, however, as good politics—in a phrase, ordered liberty—require a proper grounding in a healthy, vibrant, and ordered culture. Regardless of how cleverly its constitution is constructed, over the long haul only a virtuous people can be free. But whence will come the people’s virtue? The American Constitution cannot, any more than any other constitution, provide the people with virtue; and the founders knew this. They were convinced that character formation, the shaping of individuals into virtuous citizens and members of society, is by nature the task of local associations. Evincing an instinctive understanding of the moral principle of subsidiarity, the founders acted on the belief that as much responsibility as possible must be left at the most local and most private (or, more precisely, most social) level possible. Only in this way would local associations be able to form and to do their job of shaping individuals’ moral character. Like McClay, however, Carey does not end with the observation that local, cultural institutions are necessary for the perpetuation of liberty. He observes that it is in these institutions, in these communities, that any decent life is formed and lived. Centralization, in the end, is not merely unwise; it does more, even, than make human beings unfree; it dehumanizes them. Centralization in violation of the subsidiary principle not only leads to the degeneration of society but also eventually weakens (if not destroys) the individual’s inherent and distinctive capacities as a human being. Specifically, unnecessary centralization deprives the individual of meaningful participation at those levels most important for developing a sense of initiative, obligation, and responsibility. The feelings of achievement, the sense of reward or accomplishment, would not be his, nor would he develop friendships through cooperative enterprises. His growth as a human being with creative potential, free choice, and dignity would be stunted. This situation, in sum, would not be unlike that of children whose parents have continually protected and coddled them at every turn throughout their lives, making all decisions for them, providing for their every want, thereby depriving them of the opportunity to develop and assume the responsibility of adults. Today, unfortunately, centralization has become a fact of political and cultural life in America. The Supreme Court in particular has imposed its ideological vision of a national community on states and localities, stripping them of their proper functions, undermining their ways of life and forging a centralized, tutelary state. This is doubly problematic because, while a good constitution cannot form the good communities on which it relies, a faulty political system can undermine even a fundamentally sound culture. The result is a loss of both freedom and virtue. This is not to say that political events alone are to blame for the corruption of American society and the evisceration of local communities. Carey notes that communities must respond to “social, economic, and technological” as well as political factors. Thus “the reasons for our problems today are numerous and go well beyond politics as normally defined.” And even the political factors themselves are part of a wider-ranging degradation of American culture. The Supreme Court’s hostility toward local communities has been devastating. It has taken issues of morality, religion and even daily self-rule from the associations in which people traditionally have joined to address them, depositing them with the federal government, and generally with the Court itself. And Court decisions in recent decades have been rooted in hyper-individualist ideology. From the beginning, the principles guiding the Court’s decisions were ideological; they were not developed over the years through the trials and tribulations of communities, local governments, or private associations in dealing with concerns closest to them. On the contrary, the creed to which the Court subscribes in dictating to communities and local governments…bears a close affinity to the standards and morality that attach to the progressive vision of a national “community” marked by “enlightened” norms and principles whose inherent worth should be evident to all. Community development is by nature organic. The Supreme Court has rejected this form of growth and continuity, along with the diversity of local customs it spawns, as insufficiently rational and too likely to allow forms of behavior it dislikes. Thus it has put a stop to the independent life of communities, subjecting them to abstract, universal standards of legalistic form and egalitarian substance deemed fair by progressive ideology. As a consequence, one of the major difficulties in our present constitutional order can be put as follows: Whereas in the past the breeding ground for virtue and morality was the family, the church, voluntary associations, and the community, the source is now to be found at the national level, principally in the institution, the Supreme Court, that is most removed from an understanding of local concerns and problems. Over the course of over 200 years even the hyper-rationalism of Enlightenment ideology has hardened into habits of thought and action that properly are termed a tradition. Carey explains that the philosophes’ positions have been differentiated and refined, their major elements now constituting well-established traditions in their own right. Modern American progressivism, with its quest for equality, its view that more and bigger government is the cure for whatever ails us, its propensity for blaming society for the wrongs or shortcomings of individuals, and, inter alia, its anti-traditionalist stance in the name of freedom, progress, and tolerance, is unmistakably the outgrowth of the Enlightenment. The Enlightenment-based tradition of progressivism is inherently opposed to the tradition that informed the American founding. Thus it is not surprising that attempts to further the progressive tradition have included revisionist attacks on our understanding of the founding era. Overt attempts to deligitimize the American founding as inherently unjust and best discarded, have met with little success. But anti-traditionalists have made great strides on a different front no less adverse to traditional institutions and their influence. They have been extremely successful in convincing people to reinterpret the American founding as a radical event establishing liberal, progressive values of equality, toleration, and freedom unconstrained by the dictates of virtue. They have read the American tradition of active participation in close, local communities out of American history, rendering it all but irrelevant as a norm and model of behavior. A major, perhaps the key, conservative task, then, is that of reminding Americans of the nature and importance of their own tradition. Kirk well knew that the assault on Americans’ understanding of their origins is key to the progressive/liberal project. To the extent that Americans forget the cultural underpinnings of their system of ordered liberty they cease defending the customs and institutions central to their way of life, leaving them at the mercy of progressive ideologues intent on re-forming society along rationalist lines. Thus it is important next to look at a number of scholars recovering the truth concerning America’s cultural heritage—not, that is, merely the roots of various folkways, but the sources within western civilization of the unwritten constitution on which the American political and social order rest. Nostalgia is a sin of which conservatives often are accused. Yet it is no sin to remind a people that they once held greater virtue and led better lives than they do at present. Scholars who seek rhetorical tools in the past to help further their own political program betray their society, and their own high calling within that society. Yet, as Kirk noted, the study of history has a purpose: to show us what is normal—what is required of us by standards of conduct written into the nature of man and the universe. History is the source of norms; it shows how human beings manage to live together in relative peace and decency, as well as how communities break down or succumb to various destructive forces. This makes the study of history important for the student of politics. As the founders studied ancient Greece and Rome to find examples of virtue and vice, and to glean lasting principles of politics, so Americans today can look to the founding era to learn from the founders how to maintain a tolerable civil social order. We live in corrupt times, whereas “the formation of the republic was a product of America’s Golden Age, the likes of which we shall not see again.” In detailing the nature of this Golden Age, McDonald spells out the fundamental requirements for free government within the American tradition, showing us the institutions, beliefs and practices we should seek to reinvigorate even as we recognize our inability to recreate them. Key to McDonald’s argument is the close connection between American culture during the founding era and the founders’ political genius. If we are to recognize that America was founded by men deserving of respect—neither “regular Joes” whose wisdom we have surpassed nor self-created demigods, whose pronouncements should be read de novo, as having created a new nation out of whole cloth—then we must come to understand the culture that produced them. McDonald first points out how well-educated the founders were; almost all of them could read Latin and ancient Greek as well as, often, one or more modern languages. Moreover, their education was steeped in understandings of human nature and the need for virtue. Plutarch’s Lives of the Noble Grecians and Romans was the most generally read classic. Thus the founders were trained from an early age to care about virtue. And they cared about a specific kind of virtue, one embedded in the western tradition. The founders’ education made them, not philosophers, but bearers of the western tradition. The learning of the ancients, of the old Whig writers on liberty, and of the Scottish common sense school did not produce a thoroughly consistent ideology. But they produced a background understanding of human limitations, capacities, and duties that “permeated the very air Americans breathed” from the newspapers to George Washington’s beloved theater, to public oratory; they were part of the culture. Strongly British in character, American culture embodied traditions and institutions key to American liberty. Among the English institutions and attitudes that were firmly planted in America were the traditional idea that government must be lawful; the common law, which was adopted selectively, colony by colony; the practice of settling disputes through juries, reliance upon militias of armed citizens for defense and for the preservation of order; and the belief that the ownership of land, or the possession of enough other property to ensure an independent livelihood, was a prerequisite to the full rights and duties of citizenship. These, together with the development of such indigenous creations as the town meeting and such virtually indigenous practices as the responsibility of church ministers to their congregations, as well as the ready availability of land, bred a citizenry that was at once self-reliant and interdependent. What is more, the scheme of things required widespread participation in public affairs through face-to-face mechanisms, largely outside the framework of formal government. The daily business of life thus schooled Americans for responsible citizenship and for statesmanship. Americans were trained from an early age in the habits of self-rule. They grew up in communities formed by institutions and customs—some inherited, others developed in response to local circumstances—that emphasized local rights and duties. And the founders worked to preserve these aspects of American culture because they loved and understood the western tradition of ordered liberty. The founders’ educational culture strengthened their commitment to the traditions shaping their public culture. 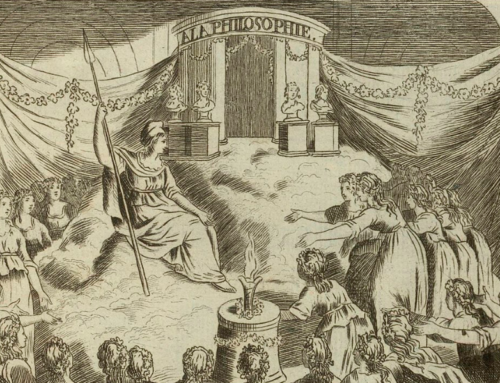 The vast majority of them did not read the French philosophes, with their radical ideologies, because “Americans were immune to the anti-religious virus that had infected the French.” Indeed, the founders’ most cited source of social and political as well as religious wisdom was the Bible. But even the biblical word of God was part of a tradition, approached through habits of interpretation and application deeply embedded in the people’s way of life. McDonald draws a compelling picture of the unwritten constitution and cultural assumptions of the founding era. Barry Alan Shain’s The Myth of American Individualism makes clear that this culture itself was rooted, proximately, in traditions of communalism and reformed Protestantism. Recent decades have seen a resurgence of interest in communalist beliefs and practices during the founding era. But this literature is a-historical in its insistent secularism. Shain demonstrates that American communalist culture was deeply religious. Americans of the colonial and Revolutionary eras had “little interest in forming dialogic communities where life’s meaning was gained through political activity. Most were interested in possessing everlasting life through Christ’s freely given grace by serving their religious and geographical communities and their families, and by attending to agricultural matters.” America was neither individualist nor secular. Its people lived within close-knit communities joined by a shared cult, a shared, reformed Protestant vision of the meaning of life and requirements for salvation. America already had the full flower of religious pluralism in its many varieties of Protestant sects (and, to a lesser extent, Catholic community); but the result was not a uniform, liberal “tolerance” that downplayed the importance of religion. It was, rather, a collection of homogenous local communities joined by an almost instinctive understanding of the utility and requirements of subsidiarity. Long before the formation of the American federal system, Americans insisted on local autonomy as necessary for a good life. The leaders of local towns and plantations were convinced that only within the compass of a small community could the visible saints be known—those principally responsible for subjecting “the damned to the divine supervision of the Church” in a manner “consistent with the glory of God.” From the reformed Protestant perspective, any loss of corporate autonomy to extralocal religious, social, or governmental power would have made their divinely ordained duties and functions more difficult to fulfill. To understand Americans’ religiously driven political ethic and the reasoning behind its localism one must understand the vision of the good life on which it was based. It was, in Shain’s view, conservative before that term had come into usage. Conservatives defend a theory of the good, communalism, which holds that individual human flourishing is best pursued through familial and communal shaping of individual character…through the active inculcation of corporately agreed-upon virtues. This sanctioned formation of individual character by intermediate social and political institutions is guided by an underlying moral, invariably religious, conception of a well-lived human life. This necessitates a common morality that rests on universal and absolute truth claims and by contemporary liberal sensibilities must be judged intrusive. In effect, the quest after personal virtue is not a fully private or even wholly familial project but rather a corporate and public one that involves political, social, and usually theological elements. A conservative vision guided individual and communal conduct in America from the first New World landing and before, and had deeper roots in a reformed Protestantism that shaped the behavior of a significant and emigration-prone minority in England. This vision still predominated in America, though in greater tension with later, Enlightenment influences, through the founding era. It is a key element of Americans’ cultural and constitutional heritage. Political scientists and historians have overlooked Americans’ lived philosophy of communalism because it is not ideological, it is not found in the theories of the Enlightenment, but rather in daily behavior. Thus the work of social historians, examining the customs and local institutions of typical people rather than elites’ philosophical musings, are needed to gain an accurate picture of this way of life. This is not to say, however, that political philosophy is unimportant. Indeed, some of the most important work being done in the Kirkian tradition involves reminding Americans of the connections between their own political system and the broader culture of Western civilization. 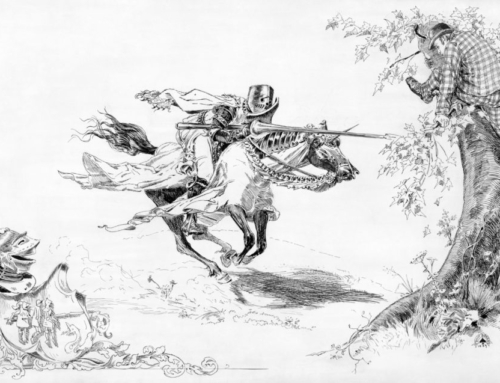 In introducing an essay on Greek and Roman influences on the American founding, Bruce S. Thornton observes that “the advent of multiculturalism with its version of history as a therapeutic melodrama designed to boost the self-esteem of selected ‘victims,’ has called into question a historical fact once the common knowledge of every schoolboy.” Today textbooks perpetuate the falsehood that Americans copied their constitution from Iroquois council sachems, downplaying the clear and obvious role played by Greek and Roman political philosophy and historical example. It is important to recover the political thought and institutional examples used by the framers as guides and cautions in framing American constitutional government. As important, however, is a more cultural vision, one Thornton describes as “The Greek Georgic tradition” of agriculture and land-based loyalties and concerns, that motivated and shaped the goals and methods almost instinctively chosen by the American founders. Both the Greek city-state and the Roman republic had at their core the small, independent farmer. 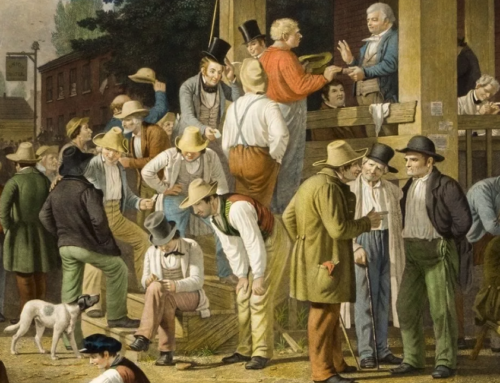 The “regimen of hard work, self-sufficiency, and distrust of merchant and aristocrat alike” that characterized these farmers produced a character and set of habits central to free government. Their exemplar, Cincinnatus, left his farm long enough to save Rome from the Gauls, then returned to his accustomed life of material poverty and hard work, that is to the mode of living he deemed best for man. And the founders consistently cited examples from this tradition— Cincinnatus in particular, with whom they identified George Washington—as providing proper models for human conduct, as well as a way of life their new nation must be careful to provide. E. Christian Kopff also points to the classical origins of the founding. Noting Kirk’s insistence that “America’s political institutions owe next to nothing to the ancient world,” he goes on to illustrate Kirk’s further point, that “American modes of thinking about politics indeed were influenced, two centuries ago, by Greek and Roman philosophers long dead.” In addition to the ever-haunting image of Cincinnatus, calling every man to hard work and a high standard of self-sacrificing virtue, classical thought provided a vocabulary of politics that formed the very minds of Americans of the founding era. Kopff takes issue with Kirk on points of detail in making his case for classical influence on the founders’ thinking in regard to specific political institutions and theories—particularly the separation of powers and the nature and implications of political tyranny. Yet Kopff’s disagreements with Kirk are matters of emphasis merely. While Kopff argues that Kirk overemphasized America’s specifically British heritage, he also notes that “the ideas which lay behind the American Founding were understood as a continuous and coherent tradition which had developed from ancient Greek thought through its Roman successors and culminated in seventeenth century English Whig thinking.” Thus Kopff, like Kirk, is arguing for an understanding of the American founding as one preserving and institutionalizing, under changing circumstances, the western tradition. Some readers may have noticed that this essay has discussed the work of historians, students of classics and even English professors as well as students of political science. This is intentional. Traditional conservatism is not a pseudo science of politics, applying methodologies appropriate to rocks and animals as if they applied to human behavior. Rather, conservatives are concerned with discovering what is necessary for human beings to achieve relative peace, freedom, and stability, fulfilling their duties to one another and to God. And this inquiry is rooted, not in the so-called social sciences, but in human history. It emphasizes our need for customs and prescribed, inherited ground rules to help us deal peacefully and virtuously with one another. It sees liberty, not as an abstract idea to be imposed on individuals by a liberating state, but rather as a way of life rooted in traditional practices. It sees reasoning itself as rooted in history—in inherited beliefs and in analogical thought by nature grounded in experience. Finally, it sees our way of life as good because we are fortunate enough to be inheritors of the Western, Judeo-Christian civilization, with all the ancient moral traditions bequeathed to us by that civilization. Conservatism is historically minded. It recognizes the debt of current institutions and ways of acting to customs and even institutions of the past. But this does not mean that conservatives merely value the old for its own sake. They are not “stand-patters,” to use Clinton Rossiter’s phrase. They value permanent, abiding goods and prudent action aimed at achieving those goods in light of various, changing circumstances. Kirk insisted that we can lead good lives only by recognizing certain “permanent things” or goods written into the nature of being. But how do we reconcile the obvious variations (and depredations) of human history with the call to a timeless, universal standard of goodness? Claes Ryn has written that, for Burke, there is “a standard of good that is not a mere creature of time and place but universal. Yet, for him, that standard becomes embodied in and known to man in historical particulars.” Burke was instinctively aware that “The transcendent reveals itself in history by becoming selectively immanent in it.” But we have forgotten this truth and have lost even our understanding of what it means. Indeed, “That life might have an enduring purpose, but one that manifests itself differently as individuals and circumstances are different, seems a contradiction in terms.” Elsewhere I have argued that this seeming contradiction is put to rest by the realization that the conservative goal is not any particular political regime or program, but a virtuous way of life. That way of life, in which individuals join with their fellows in local associations devoted to the common good, and to promoting good character and conduct in accordance with the dictates of religion, can exist under any number of political regimes. But it necessitates understanding that the purpose of any political regime is to protect and nurture the fundamental, cultural institutions in which human beings associate and lead their day-to-day lives. Some political systems are better than others at promoting virtue in a given set of circumstances. But politics is not, as Ryn points out an autonomous, self-generating, self-subsisting force that shapes all other aspects of society. It is essential to understand that political beliefs and institutions are expressions of an underlying attitude toward human existence, that they are in a sense secondary phenomena, having antecedents and roots in the life of the mind and the imagination. Because politics is not the center of human life, it is unproductive to focus on rulers and their ideologies as the key to political— let alone more generally public or social—behavior. Political elites do not simply impose their will on a people. Their being in power is in an important sense symptomatic of the moral-cultural-intellectual life of society, which is shaped in the long run by thinkers and artists as much as by politicians. Political elites sometimes affect the future decisively, but they can and cannot do various things depending on the moral, cultural and intellectual climate of their societies. Society’s “moral-cultural-intellectual climate” plays a dominant role in shaping its politics. Moreover, this climate embodies the spiritual health of a people. Thus, the decline of political life into mere competition for material goods is symptomatic of a deeper sickness; one caused by the people’s rejection of the goals and customs of a common religious viewpoint—of their rejection, as a people, of the duty to live by permanent norms. The move toward subjectivism is taken as liberation, but ends by enslaving people to their appetites, and leaving them defenseless in the face of the political elites they have empowered. Rejecting the permanent things, people reject any call to virtue and, in the end, the duties whose fulfillment renders common life tolerable. Ideas have important consequences. But they are not alone in influencing political actors. Moreover, politics is a naturally embedded part of a larger, more comprehensive culture and society. Critical ideas combine political with moral content and must address concrete customs and practices if they are to affect a civilization. The modern era can be defined as one dominated by ideologies. An important reason for this is the prominence of specifically political concerns in Enlightenment thought. Not virtue or salvation but specifically political concepts of liberty and equality have dominated. Yet even the political emphases of modernity have their roots in deeper understandings, or misunderstandings, of the nature of the human person and the proper goals of life. For the moderns, that nature is radically atomistic, and those purposes are purely subjective. In short, modernity rejects culture and the transcendent in the name of individualism. Peter Augustine Lawler has argued that modernity is distinguished by the view that a human being is an individual, and the modern individual is an abstraction, an invention of the human mind. That individual is made more free from social and political constraints, and less directed toward duty and goodness by God and nature, than a real human being ever could be…. The modern individual is liberated from the philosopher’s duty to know the truth about nature, from the citizen’s selfless devotion to his country, from the creator’s love and fear of God, and even from the loving responsibilities that are inseparable from family life. Conservatives today oppose liberal individualism both because its understanding of the human being is untrue and because that definition erodes all that is good about distinctively human existence. Modern ideologues’ insistence that the individual be treated solely as a monad, an unconnected product of its own radically free choice, has produced the myth of an autonomous political sphere. Moderns, both despots and democrats, have come to believe that human nature can be changed through political means, if only that individual is stripped of non-political attachments. As a result modern politics has been characterized by overt hostility toward the institutions in which people actually live, and toward the customs that allow these institutions to function. Thus the state has gone from protecting the family as the foundation of society to undermining it by refusing even to enforce its contractual nature—allowing one party to dissolve the union without cause and over the objection of the other party. Thus municipalities have been stripped of all independent legal powers and left as mere creatures of the states, exercising only that authority which the states choose to give them. Thus church figures and even independent citizens have been denied the right to show communal support for religious values and institutions. Thus the law has worked to liberate individuals from all groups that might influence their decisions on important life matters. Of particular importance has been the attack on religion. Culture not only comes from the cult or religion of a people, it also points them back to the reality of transcendent, religious truth. Cultural life is intimately tied to religion, and so the modern attempt to strip culture from humanity has entailed the rejection of God and religious belief. Lawler asserts that “the individual really did try to replace the God of the bible in the modern world—with the individual himself.” Of course, “the individual” cannot act because it is a mere abstraction. But political elites, acting in a society atomized by individualism, in which people are stripped of their natural attachments, amass for themselves great power. And this power leads them to believe that they can change human nature, even as it produces in the people a moral and intellectual degeneration that allows them to forget that they are created beings, dependent on God and religion to make sense of their lives. The Christian heaven, Lawler argues, has been replaced by moderns, even supposedly “different” moderns like Marx, by “a world-to-come where we can do whatever we want, whenever we want, without any constraint by or guidance from nature, other human beings, or God.” Government and society itself must whither away, on this view, so that each individual can act truly “autonomously”—that is, with radical free choice, unconstrained by human attachments or any higher purpose. Pursuit of this earthly heaven of autonomous individualism has produced a hellish existence of loneliness and enslavement to one’s passions, drives and political rulers. And so those empowered by the state to look after our well-being—the psychologists, psychiatrists, social workers, and other “facilitators” who have replaced our priestly class and our parents—have sought to ease our minds. Their goal has been to eliminate the pains of modern life by destroying our last human attachments, our desire for love and fear of death. Mindless fornication and euthanasia will eliminate the final constraints on radical autonomy, leaving us without any goals to unsettle our post-human minds. Lawler’s answer to the meaningless existence of modern individualism is the reintegration of human beings into their communities. A world that has put the pathologies of modernity behind it will begin with “the replacement of the individual by the whole human being, and the using of our natural capabilities for thought and action to make the world worthy of him.” As usual, for a conservative, Lawler eschews any specific ideological program. He points out that conservatism is quite compatible with constitutional liberty, and that no “particular changes to our form of government” should be seen as central to a plan of reformation. The point, to use Ryn’s phrasing, is to change the “moral cultural-intellectual climate” that shapes our daily lives and our politics. And that climate is, after all, the focus of traditional conservative political analysis. Kirk made critical contributions to a mode of analysis intent on reintegrating our knowledge of politics with our knowledge of the basic structures and customs of society. He did much to re-legitimize an understanding of politics that eschews the unbridled pursuit of ideological conceptions of the best regime, defined narrowly as the institutional structures best embodying modern notions of individual autonomy. Thanks in significant measure to Kirk’s work, a number of scholars are working to reintegrate politics into society, the individual into the community, and the transcendent into the concrete. Such reintegration eschews even the mechanistic application of Kirk’s own canons of conservatism—meant, after all, only to provide an outline of a decent civil social order. And it focuses in particular on the need for transcendent standards because these have been most abused in recent years—either rejected altogether or degraded into mere ideological formulae justifying utopian political action. As Burke observed, man is by nature a religious animal. If he is denied real religion he will find a substitute in superstition, including, today, superstitions regarding the powers of individuals and political mechanisms. Because our way of life grows from common institutions and beliefs rooted in religious practice, we must foster genuine faith if we are to have decent, generally accepted moral standards and any common life. Such standards provide meaningful goals (community in this life and salvation in the next). And such goals shape our institutions and our conduct as individuals and as members of communal groups. Ideologues may attempt to paint traditional conservatism as un-American, in the political sense. And the argument will sound plausible because conservatives refuse to see any political regime as providing the true and only heaven. But, as Tocqueville argued that democracy is best served by its friendly critics, so one can argue that America’s system of ordered liberty is best served, not by those who claim it is a perfect, uncreated whole embodying all this is good, but rather by those who are willing to judge that system according to higher standards, rooted in history and emanating from God’s will as revealed in the natural law. The traditional conservative task is too critical, too likely to result in negative comments on current behavior, to sustain mass popularity. But, being guided by concern for the truth, it offers rewards higher than mere popularity. Books mentioned in this essay may be found in The Imaginative Conservative Bookstore. This essay originally appeared in the Fall, 2006 issue of the Political Science Reviewer and appears here by the gracious permission of the author. 1. Russell Kirk, The Conservative Mind: From Burke to Eliot 7th ed. (Washington, DC: Regnery, 1985) 72. 3. Examples abound but include Michael Novak, God’s Country: Taking the Declaration Seriously (Washington: AEI Press, 2000), Charles Kesler, ed., Saving the Revolution: The Federalist Papers and the American Founding (New York: Free Press, 1987) and Thomas Pangle, The Spirit of Modern Republicanism: The Moral Vision of the American Founders and the Philosophy of Locke (Chicago: University of Chicago Press, 1988). The paradigm for such ideological readings of the United States was set by Seymour Martin Lipset, The First New Nation: The United States in Historical and Comparative Perspective (Garden City, NY: Anchor Books, 1963). 4. See for example Charles R. Kesler, “All American?,” National Review, (December 7, 1998). 5. In a Christmas Eve, 2002 Wall Street Journal article, Francis Fukuyama asserts that “traditional (as opposed to American) conservatism” is a purely European phenomenon, unwelcome and almost unheard of on American soil. In America, Fukuyama claims, almost no one wants “to defend a status quo based on hierarchy, tradition and a pessimistic view of human nature.” The only American conservatives of any consequence are in fact “old” or “classical” liberals committed to “free markets, individual initiative and a democratic polity based on individual, not collective, rights” and to spreading these goods to every nation on Earth. Fukuyama refers to Seymour Martin Lipset as a primary source of his understanding of conservatism in America. Both have long been associated with the “neoconservative” movement of journalists, intellectuals and policymakers growing out of the decision by Irving Kristol and like-minded liberals to reject the increasing leftward tilt of the Democratic Party during the 1960s and 1970s. Fukuyama’s assertions are echoed on the same editorial page, in harsher tones, by fellow neoconservative Max Boot in “American Conservatism: What the Heck is a ‘Neocon”? (12/30/02) Claiming that conservatism is embodied in laissez faire economics, a refusal to ban abortion or cloning and the drive to “liberalize the Middle East” for his brand of neoconservatism, Boot dismisses criticism from his right as coming only from “paleoconservative” Patrick J. Buchanan and five followers inhabiting “fever swamps.” Such assertions mischaracterize traditional conservatism, ignore the role of traditional conservatives in putting together the conservative movement and its political victories, and seek to marginalize anyone who argues that culture and customary practice (rather than simply ideology) play a significant role in determining what policies and institutions best serve a given people—indeed, in determining even what constitutes a given people. The first two mischaracterizations lie outside the scope of this essay; in answering the third mischaracterization, concerning the current state of traditional conservatism, I allow conservative writers’ own work to answer the racially charged overtones of neoconservatives’ rejection of their culturally-based arguments. 6. See for example Robert A. Nisbet, The Sociological Tradition (New York: Basic Books, 1966). 7. Kirk, Conservative Mind, 8. 8. Again, a prime example is Kesler’s “All American?” For a traditional conservative discussion of the dangers of universalist ideologies in foreign policy see Richard M. Gamble, “Savior Nation: Woodrow Wilson and the Gospel of Service,” Humanitas XIV, no. 1 (Spring, 2001) pp. 4-22. 9. Kirk, Conservative Mind, xiv-xv. 10. Wilfred M. McClay, A Student’s Guide to American History (Wilmington: ISI, 2000) 54–55. Emphasis in original. Mapplethorpe was a photographer whose graphic depictions of sado-masochistic homosexual acts gained some notoriety on account of his receipt of federal arts funding. 12. Wilfred M. McClay, “Mr. Emerson’s Tombstone” in George W. Carey and Bruce Frohnen, eds. Community and Tradition: Conservative Perspectives on the American Experience (Lanham, MD: Rowman & Littlefield, 1998) 87. 14. Wilfred M. McClay, The Masterless: Self & Society in Modern America (Chapel Hill: University of North Carolina Press, 1994) 295. 15. See for example his The Federalist: Design for a Constitutional Republic (Urbana: University of Illinois Press, 1989) and George W. Carey and James McClellan, eds., The Federalist: The Gideon Edition (Indianapolis: Liberty Fund, 2000). 16. George W. Carey, “The Constitution and Community” in Carey and Frohnen, eds., Community and Tradition, 63. 18. Ibid., 76. On the founders’ attachment to and reliance on virtue in the people as the foundation of free constitutional government see also Graham Walker, “Virtue and the Constitution: Augustinian Theology and the Frame of American Common Sense” in Gary L. Gregg II, ed. Vital Remnants: America’s Founding and the Western Tradition (Wilmington: ISI Books, 1999). 19. On subsidiarity see for example Kenneth L. Grasso, “Man, Society and the State: A Catholic Perspective,” in Michael Cromartie, ed. Caesar’s Coin Revisited: Christians and the Limits of Government (Grand Rapids: Eerdmans, 1996). 20,. Carey, “Constitution as Community,” 63. 28. George W. Carey, “Traditions at War,” Modern Age, 36 (Spring 1994) 237. Citation omitted. 31. See for example Enemies of the Permanent Things: Observations of Abnormity in Literature and Politics (La Salle, IL: Sugden, 1984) 276. Here Kirk notes that “it is history which teaches us the principles of order.” In this chapter, an essay on the work of Eric Voegelin, Kirk points to the distortion of history by the partisans of a rationalism that denies the importance of transcendent standards, as the root of much moral confusion, perhaps the most poisonous root affecting modern society. 32. See Ibid., 15 and 259. 33. Forrest McDonald and Ellen Shapiro McDonald, Requiem: Variations on Eighteenth-Century Themes (Lawrence, KS: University Press of Kansas, 1988) 1. 39. See for example J.G.A. Pocock, The Machiavellian Moment: Florentine Political Thought and the Atlantic Republican Tradition (Princeton: Princeton University Press, 1975). 40. Barry Alan Shain, The Myth of American Individualism: The Protestant Origins of American Political Thought (Princeton: Princeton University Press, 1994) xvi. 41. Ibid., 44. Citations omitted. 44. Bruce S. Thornton, “Founders as Farmers: The Greek Georgic Tradition and the Founders” in Vital Remnants, 33–35. 47. E. Christian Kopff, “Open Shutters on the Past: Rome and the Founders” in Vital Remnants, 72. 49. See especially Ibid., 80. Tyranny is discussed at 84–87. 51. This is not to say that empirical observation of relevant facts is inherently “unconservative” or cannot be used to support traditional conservative positions. Alan Carlson, for example, has written for decades about the decline of the American family, and the causes of this decline. Putting social science data into historical perspective, he has shown how the decline of the home as the center of family life—its loss to the factory, school and government sponsored program—has lessened its ability to function even at the basic task of rearing law-abiding children, and undermined the culture at the heart of ordered liberty. See especially From Cottage to Work Station (San Francisco: Ignatius, 1993). 52. Claes G. Ryn, “Defining Historicism,” Humanitas XI no. 2 (Fall 1998) 88. Emphasis in original. 55. This is the theme of Virtue and the Promise of Conservatism: The Legacy of Burke and Tocqueville (Lawrence: University Press of Kansas, 1993). 56. Claes G. Ryn, “Dimensions of Power: The Transformation of Liberalism and the Limits of ‘Politics'” Humanitas, XIII no. 2 (Fall 2000) 5. The reader may notice the emphasis on intellectual rather than practical circumstances, yet this emphasis is mitigated by the sense in which Ryn uses the term “imagination.” On that term see in particular Irving Babbit, Democracy and Leadership (Indianapolis: Liberty Fund, 1979). 57. Claes G. Ryn, “Power, Again,” Humanitas XV no. 1 (Spring 2002) 100. 58. On the universality of natural law, and of behavioral imperatives across the breadth of human religions, see the appendix to C.S. Lewis, The Abolition of Man (San Francisco: Harper, 2001) 83-102. 62. Peter Augustine Lawler, “Conservative Postmodernism, Postmodern Conservatism,” Intercollegiate Review vol. 38 no. 1 (Fall 2002) 16. Fascinating and questions arise, particularly on communalism: can it be sustained in a less-Christian or purely secular environment? Well, the hippie communes never lasted long as the hardships grew tedious and the ideology that attempted to replace religion faded as a fashion. It was a lot less of a 'bummer, maan," to find another mate, get an apartment in town, go on welfare and make candles. So there was no economic necessity: in colonial America there were both religious and very practical, economic justifications (in agrarian, cash-poor, modern Afghanistan as in colonial America, you need neighbours to help build the barn, etc). A modern communalism might return, sans faith, were the economic imperatives strong enough; if Americans had to band together to eat; and where there weren't easy alternative livelihoods. The circumstances are not inconceivable. In which case any unifying condition would be a head-start: religiously, ethnically, socially, by proximity, etc. In the social and economic competition that ensued between communities striving for relative self-sufficiency, ideologies would become expensive (as they did in some Pilgrim experiments) and we'd get a chance to see a panoply of results. I'd bet on informed, real conservatives with many sources to draw from (including faith) and no silly ideology to hamper them: that worked in Pilgrim New England and it works now in rural Afghanistan. Evolutionary theory drives everything today, this is why "tradition" becomes more important, because of the scientists concern for resources, political peace, and communalism (for environmental purposes). Equality is the goal, through "equal opportunity", as in "nation building". "National building" becomes the humanitarian/tradition building of the West, which hasn't had much result in modernizing societies in certain cultures. The question is over colonialization or anti-colonialism. Is it appropriate to act in paternalistic ways to adult populations? Ideas do drive policy. Anthropologists and humanitsts agree that social structures (structuralism) are the necessary conditions to maintain "order", the question of equality, then enters as to familial structures. Is there an "ideal" as to social structuring? or not? That is the question for human rights and cultural traditions. And isn't this why communitarianism has gotten a "hearing"? Will communalism be a "forced" ideal in our society, or will men be able to freely choose where their associations will be? It does not seem that certain traditions are open to modernism and that is a real problem, regardless of how you argue that "conditioning" is important for the "human"! I think certain conditioning is "evil"! Doesn't it boil down to how we "engineer" society and for what purposes? Arguments can be made on both sides, as to tradition and modernity (reason). Individualism is the underlying foundation of America, regardless of the "time" of the Founding era. If it weren't then, limited government would not have been the "ideals" of our Constitution! Granted that today, we live in a society that has little respect for social structures, but structures are flexible arrangements based on consent and agreement, not forced, co-ercive institituions…. American Public life must be "redeemed" on the premises that individuals are not to be determined, but are self-determining moral agents that are responsible for their behavior. Wasn't this the Founding Principle of character to govern, which was to serve the public interests? How can a public servant serve the public interests best and yet, maintain his electablity? "Self determination" means that individuals are free in the West. The West has made "self determination" a principle of making judgments about sanctions against those that would undermine the principles of liberty. But, while liberty is a foundational principle in our society, we limit liberty by our laws which protect the individual from abuses of power which centralization, and beauracracies (collectives) tend to do. Social psychologists warn how organizational structuring has unintended consequences, because indiviuals are focused on their own goals of pleasing heirarchy, rather than assessing indiviually whether the goals are princples that are wholistically based on liberal principles. Conservatism is based on fiscal responsibility, and the character to govern, which has Constitutional limits, as well as pragmatic implications. Fiscal responsiblity cannot be found in those that are vying for the vote or for the money needed to campaign. So what are the practical needs for redeeming the political class? and is such a task feasible?